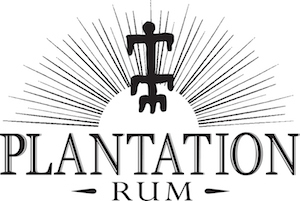 Notes: An interesting and very atypical sort of whiskey – just the kind we can take a shine to. As Frank Kekkey Rich says in his seminal book The Modern Drunkard, stolen booze can be the best or most savored booze. 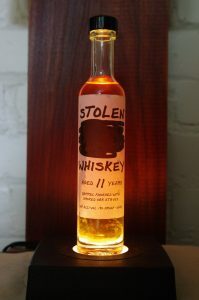 Stolen Whiskey is a Corn Whiskey from MGP aged for 11 years in used oak barrels. The use of used oak barrels is common for corn whiskey both because corn gets easily overwhelmed especially over time by fresh oak and it is a lot cheaper to age it in used oak. Corn whiskey has almost always been a cheap type of product with less respect than bourbon so putting it in expensive new oak and trying to get the public to pay for that has not been a winning business plan so far. So nothing too odd there, outside of the fact few people age corn whiskey this long. They take used oak stave and rotate them over an oak fire to toast and smoke them and use them in a secondary barreling. Appearance: Clear, whiskey-colored, light amber/caramel hue to it.Thin coat on the glass and rapid leg formation on swirling. Drinks: Makes for a woody version of a Manhattan, the Old Fashioned, and Whiskey Sour are both rather sweet.With the right recipes, this whiskey can really shine, but you may have to experiment to find your best drinks for it. 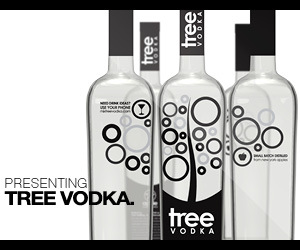 Bottle: Relatively generic glass bottle with a black screw top closure, Graphics look like they used a sharpie to draw it. Bottom of bottle does have a slightly heavier than normal bottom to give it a more premium heft and feel. Other: This trend of adding barrel staves to whiskey is something Makers Mark did with their Makers Mark 46 a few years ago, adding more wood flavours seems to be a trend nowadays. Final Thoughts: An interesting whiskey that reminds me somewhat of McKendrics and Balcones attempts at smoking and infusing various wood. Not really to my personal taste but an interesting whiskey. Some will love it, some will hate it, others will just be confused.